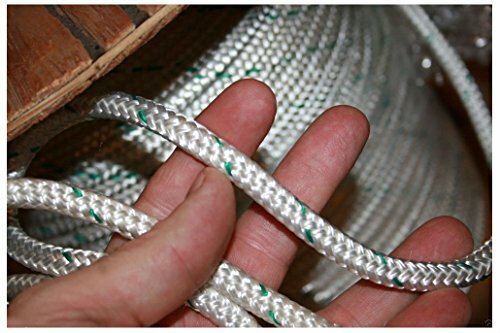 150 FEET NEW Polyester Double Braided Rope 7/16" 6300Lb BREAKING STRENGTH. low stretch, torque free. Sold 150 feet at a time. it will always come one piece no matter how much you buy.